Documents, certificates, lists, you name it, they can all be used to help you discover your genealogy. But where can you find the free family history records that can help you? Well, I will show you exactly where you can find more about your ancestors for completely nothing! Then please read on as I will show you exactly what you can do. Plenty of free resources out there! I recently wrote a post showing you 15 ways to conduct free genealogy research. 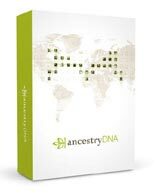 While compiling that guide I was blown away by the sheer amount of free methods and resources that are out there that CAN help you to trace your family history for absolutely nothing. With this post however I want to focus on where you can find family history records and how you can do this for free. After all my first key piece of advice to anyone starting out on this journey is to gather information that doesn’t cost you anything before you go spending your money. What you will find here in this post will be brief discussions on the methods and resources that can be used to find free records. For further information just click on the link that follows each of these. If you think that I have missed something out or that there is something to add then please comment below. I will be more than happy to read your suggestion and add it to this guide. There are plenty of records that could be lying around your home or even tucked away in a cupboard or a box. They could be up in the loft or down in the basement. Wherever they may be in your home they are certainly worth your attention and you should be checking out what you already have right under your nose. As you can see there are possibly many records in your home that you can use for your genealogy research. You can even get valuable information from Baby Books, Wedding Invitations or Announcements, Obituary Notices and Memorial Cards. Now you may not have all of these records, you may just have one or two. Whatever you do find though can help you learn more about your ancestors. The benefit of this method is that it will save you both time and money tracking down these records that you already have. Makes sense doesn’t it? Following on from the previous method you could ask family members if they have any records that they could either lend or give to you. You could even ask friends or work colleagues who knew your ancestors. If your relative does not want to part with their family heirlooms then you could suggest scanning their documents, certificates or whatever they have. Or if you don’t have a scanner then why not take picture of the records with your phone? While you are visiting your relative, family friend or work colleague of your ancestor you could use this time to interview them and ask them all sorts of questions. It is a great opportunity to glean even more information about your family history. Of course, you will need to prepare for the interview, decide which is the best approach for the interview and know what questions that you will ask. For advice on those key points and other considerations that you will need to think about please check out the following link. Now you may not be comfortable with this method but I thought that I would just throw this one out there as it is certainly a possibility for some people. If it is your birthday coming up, (or maybe it’s Christmas), then you could ask for records to be purchased for your research. Or if this is not possible then maybe ask for money to be put towards it. Asking for money may not sit well for some people, and I can quite understand that. But it is still a great way where you can get family history information for free. Although you will need to obviously return the favor when it comes time for their birthday. So it’s not a completely free way but still it’s worth suggesting. There are many, many genealogy search websites that you can check out that are free to access and ones which require a paid subscription. I will cover what you can get for free at the paid sites next. The free sites are a bit of hit-and-miss I must admit. But there is the possibility that you can find what you are looking for at these sites. And they are definitely worth looking at before visiting a paid site where you will have to hand over your money that you could have got for free. Access Genealogy – Contains over 240,000 links to free records for your United States research covering such as African American records, cemetery records, census records, and much, much more. FamilySearch – This site contains the world’s largest collection of free genealogical records. I have personally used this site and it has helped me out a great deal. FreeBMD – Suitable for helping you discover more about your British ancestors. Contains transcripts of vital records such as birth, marriage and death records for England and Wales. Covering the years 1837 to 1983. FreeCEN – Similar to FreeBMD this site will give you free access to the 1841 to 1891 censuses of England and Wales. RootsWeb – Driven by the members that have signed up to this site you can access free records that will help with your research. US GenWebProject – Benefiting from countless volunteers this website is a gateway to thousands of sites where you can find listings of local sources of records. There are many other different sources of information that can also help you with your family history as well. So, free sites are exactly that. You can access records of your ancestors for free. But the chances of you finding useful information with these sites is not so great compared to paid genealogy search websites. The reason for that is that these paid sites digitize millions, even billions of records. This is compared to free sites which rely on volunteers submitting genealogy information. Believe it or not but there are 4 ways which you can use to gain access to free genealogy records online! Free Records – Some sites will have a collection of records that are completely free. Checking out these records will give you a taster for the rest of the site. Free Trial – Often popular with the paid sites are 14-day free trials where you can get free unlimited access to everything within their databases of records. Free Weekend – During the holidays genealogy sites will open the gates to their records for free. Although access maybe to particular sections of their database, such as military records for example. Local Library – Visiting your local library can really, really help you as they may allow free access to sites such as Ancestry and FindMyPast. I have really learned a lot about my heritage by visiting my local library. Please by all means check out these two helpful guides below. 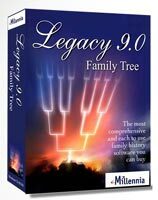 They will show you exactly how to access free records on the world’s most popular genealogy sites. Incidentally, check out the Search For Ancestors website where there is an excellent guide to Free Databases at Ancestry.com. As you can see there are a number of ways for you to access free genealogical records about your ancestors. The advantage of these methods as I have pointed out is that they can save you both time and money. However, you may not find what you are looking for when visiting the free genealogy websites. And that is why you will need to turn your attention to the paid sites. But please check out what you can for free and then move on to the paid subscription sites. If you decide to check out these free resources then please come back and let me know what you think. I would love to hear from you. I hope you enjoyed this post showing you how to find free family history records. If you have any questions or comments then please leave a comment below. I think I may have many records in my home. I actually even have old photos of my grandfather’s which was taken with his family. I think I can start with that. Yep you would be surprised as to what you will uncover. People think that they know what is in their homes, but until you really look the. You don’t really know. Old family photos can break down brick walls in your research and put a face to the person you are researching. It can also make you feel more connected to your ancestors as well. At least that is the way that I feel. Hey Owain, thanks for your tips regarding free ways to start our genealogy search. I don’t mind joining the paid services once I have traced where I can for free first, your advice helps immensely. I think the most common tip here people overlook is their family. We were amazed asking our relatives about the goings on in our family history, we’ve had a right laugh to be honest. It brings families more together, especially talking to distant relatives. Some we hadn’t seen for years yet they had loads to tell and were really interesting to listen to, telling fascinating stories we weren’t even aware of. We have also been introduced to relatives we didn’t know existed, family trees branch out into many directions when you trace back. Thanks for your comment. Yep it will take time to go through the free sources, but trust me it will definitely help you in the long term. There will be instances when you will need to make a purchase, such as genealogy software or A DNA testing kit. But please check out those free records first, get a feel of what genealogy research is a lot about and then go for it. Hi thank you for sharing such wonderful information. I’m a curious person and I always want to know more about my family history and know where I was originally from. I never knew about genealogy sites and the free information that you can find on them. Wow, the world has really evolved. Didn’t know they keep so many records either. Thank you again for sharing. You’re welcome Sharnna. Make sure you stick to the first two methods before you check out those sites. Look everywhere and anywhere around your home. You may be surprised as to where you will find old family history records. And while asking your relatives for help why not ask if any research has already been carried out on your family history. But besides that I will definitely be seeing what I have around my home and interviewing my relatives as well. I am sure that I will also dig up some interesting stories. You’re quite welcome Gabriella. Obtaining records can help you to break down brick walls, such as finding out a birthday from a birth certificate. Or maybe a father’s name or an address.